The third title in the acclaimed Assassin’s Creed series came out last month and set the gaming world alight. Whether they pre-ordered Assassins Creed 3 online or set up camp outside high street retailers waiting for the opening-day release of the new title, fans around the globe eagerly snapped the game up. Critics raved about the hot new title, which looks set to be remembered as a classic for generations to come. The series has proven itself a genuine multi-platform hit, with releases stretching across a vast range of machines from the PlayStation 3 to the Nintendo DS and a set of spin-offs accompanying the core titles in the series. As the franchise leaps from one format to another the Assassin’s Creed games tailor themselves for their new homes, each of them making the best use of their platform. As we live in a multi-format world it is vital that series such as Assassin’s Creed adapt in this manner to give players the best experience for their money. But Ubisoft, the developers of the games, are not resting on their laurels. The company is looking to expand the Assassin’s Creed series in bold new directions, and the upcoming game Assassin’s Creed: Utopia serves as a great example of the franchise’s possible evolution. 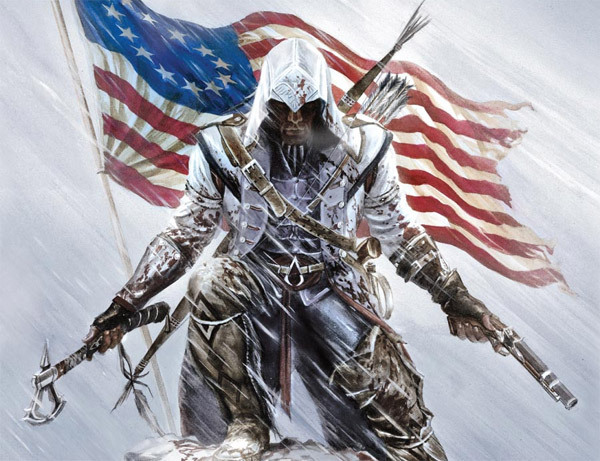 The game will be released on mobile platforms such as Android and iPhone and is set to boast a new story designed to lead into the narrative of Assassin’s Creed 3. What will be next for the ever-expanding Assassin’s Creed series? Doubtless the developers have many more surprises and innovations up their sleeves. As the franchise develops it looks as though many more classics will be waiting in the wings, and many more platforms will have Assassin’s Creed masterpieces to call their own. The future looks bright indeed. ← Nexus 4 Is Now On Sale!